South African politician, Makashule Gana, has said some of his compatriots have complained to him that they are angry with Nigerians and other immigrants because they snatched their girlfriends. Gana, a Deputy Federal Chairperson of Democratic Alliance, made this disclosure in at an anti-xenophobia rally, held at Constitution Hill. South African newspaper, City Press, reported that Gana advised that rather than get angry and take the anger out on foreigners, South African men should “provide” properly for women, rather than lash out at non-nationals for “stealing” women away. 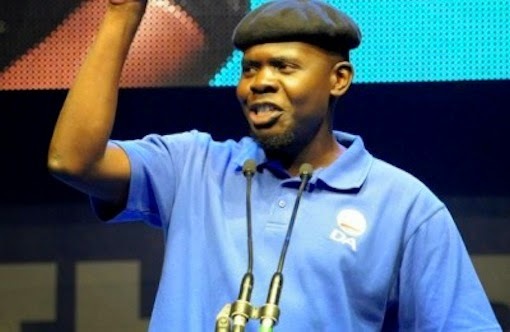 Gana urged the crowd at the rally to spread the message of not taking part in xenophobic attacks to “our wives, girlfriends, boyfriends, makhwaphenis (secret lovers), neighbours and brothers”. “So I ask my fellow brothers from South Africa, if you want a woman please go speak up, don’t go around and killing someone from Nigeria because they can speak up for themselves. Speak out because it is important,” he told the crowd. He also urged South Africans to look at themselves and not blame non-nationals for stealing their jobs when these jobs didn’t exist in the first place. “Go and start a spaza shop,” advised Gana.